Georgia Dagaki was born on the Greek island of Crete. She began playing the lyra and singing in front of an audience at the age of 16. Georgia combines the skill of an accomplished musician with the tender passion of a young singer. She has recorded and performed with many renowned Greek musicians and will be releasing her second personal CD toward the end of 2008. Since February 2008, she has been performing with her own band, producing a more modern and rock sound, while maintaining her traditional & ethnic roots. 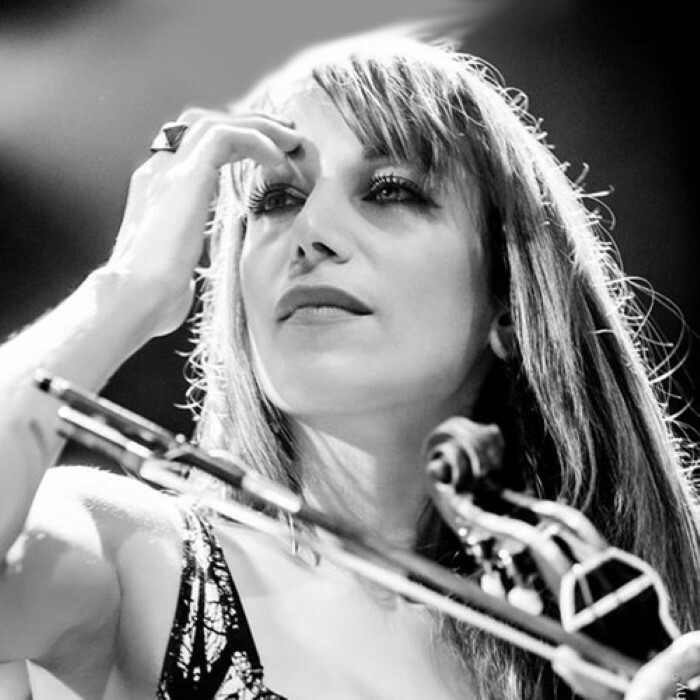 During this summer, Georgia Dagaki will be performing with the award winning composers Evanthia Reboutsika and Panayiotis Kalantzopoulos, the talented and renowned greek singer Elli Paspala and The Street Orchestra. She will also be playing as the support for Goran Bregovic’s concerts in various cities of Greece. Read more on Last.fm.